Born at Frome, Somerset. Son of The Rev. 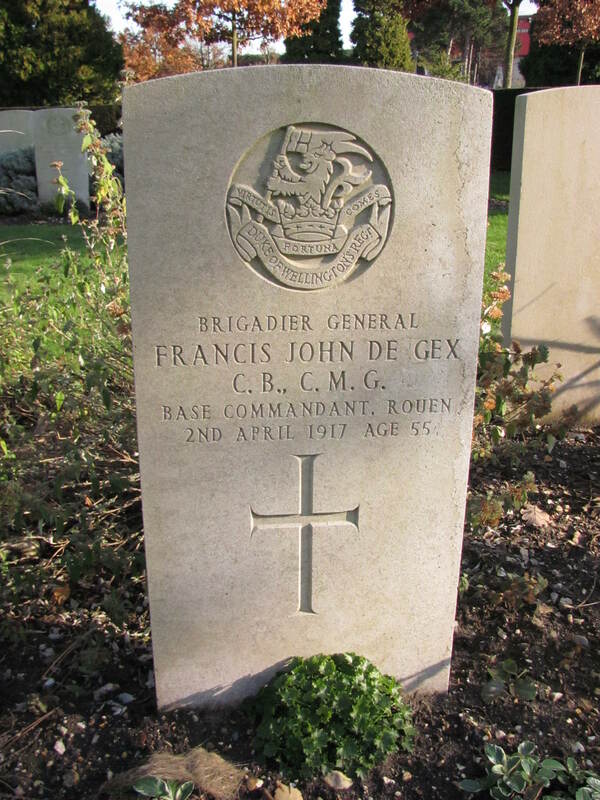 F. de Gex,; husband of Edith H. de Gex, of Stone House, Camberley, Surrey. Educated at Oxford and R.M.C. Sandhurst. Commanded 1st Bn. Bedfordshire Regt.